What is the Northland Youth Choir? The Northland Youth Choir was established to provide quality music instruction in a choral setting and to strive for excellence in choral performances. The Choir emphasizes the development and understanding of music skills and encourages singers to look within themselves and find self-expression through singing. Auditions last approximately 40-60 minutes and are held with a small group with 4 – 5 other children. During the audition the children will demonstrate the following skills: pitch-matching, echo- singing with the director, singing “America” or “Frere Jacques”, singing high to low vocal range, listening to intervals played on the piano and singing them to the director, rhythm clapping, sight-singing a line of music using solfege or note names. Singers should come prepared to sing a short song of their choice with the piano. The song should be memorized and singers must bring the sheet music for the pianist. Suggestions for songs include a folk song, a Christmas carol, patriotic song or hymn. If you have another audition song not following the above suggestions, please contact the director prior to the audition for approval. Should the parent attend the audition? Due to issues of confidentiality, parents are not allowed in the audition room. They should, however, plan to remain until their child is finished auditioning (40-60 minutes). When will parents be notified regarding acceptance? Parents will be notified of audition results as soon as possible after the audition. What is the teaching and performing season? Rehearsals begin in late August and end mid-May. The Jubilate Choir, Cantabile, and Treble Choir will rehearse Monday evenings at the First United Methodist Church downtown at 915 Second Avenue . We present two major concerts each season, one in December and one in April or May. In addition the Choirs may be asked to sing the National Anthem at UAF Hockey games, spend one day touring to sing at local schools and every December perform with the Fairbanks Symphony. What should I do if my child is not accepted? It can be difficult to sing for a person you have just met and if a child is especially nervous it can affect their performance. If this happens, a follow-up audition may be scheduled. When specific skills are in need of improvement it is expected that the child will practice these skills before re-auditioning. What kind of music is taught? 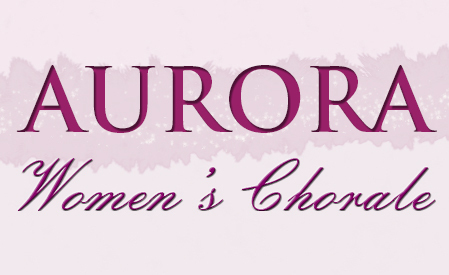 The Northland Youth Choir is founded upon the belief that children will benefit from learning about the vast selection of available choral repertoire both sacred and secular. The music relates to sacred and secular traditions and is not selected to intrude upon anyone’s personal beliefs. It is essential that all singers be willing to sing all repertoire. Each Choir has a performance uniform that must be purchased from the company of the director’s choosing. On certain occasions the Choirs will perform in casual choir dress. This will be choir T-shirt purchased through the choir, long, clean and neat blue jeans of their own, clean white athletic shoes and white athletic socks. All concerts are performed in formal concert attire of the director’s choosing. Some gently used uniforms are available for purchase. We hope we have answered some of your questions. In addition, the choir handbook outlines all our policies and procedures. For more information, please call (214) 354-4587 or email kittenmomx3@gmail.com.